The Irish have always been known for their festive and lively spirit. And the Irish who immigrated to America brought with them a love of community and celebration of Irish heritage. You can experience this Irish community spirit at hundreds of Irish American events held throughout the country every year. 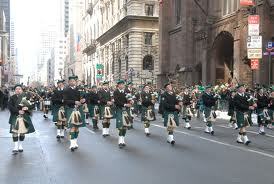 The following is a comprehensive list of Irish American festivals and major Irish American St. Patrick’s Day Parades.